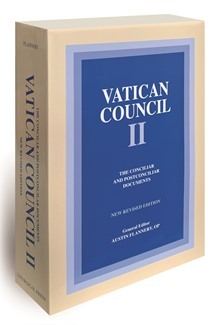 Vatican Council II: The Conciliar and Postconciliar Documents is now available in the widely used study edition translated by Irish Dominican Austin Flannery (+October 21, 2008). This is the translation chosen for inclusion in The Catechism of the Catholic Church and the text that both students of the Council and students of the Catechism will want. It contains all sixteen documents of the Second Vatican Council plus the forty-nine later documents from popes and Vatican congregations that implement the details of the Council's decisions. In this student edition of the Second Vatican Council documents, students will discover a readable, reliable text and helpful questions to guide them in the study of the Council.